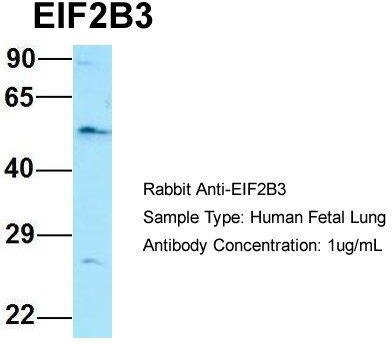 Western Blot analysis of EIF2B3 expression in transfected 293T cell line (H00008891-T01) by EIF2B3 MaxPab polyclonal antibody.Lane 1: EIF2B3 transfected lysate(49.72 KDa).Lane 2: Non-transfected lysate. 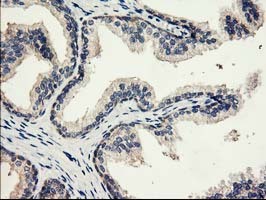 Western blot analysis of EIF2B3 polyclonal antibody ( Cat # PAB3740 ) in A-375 cell line lysate. 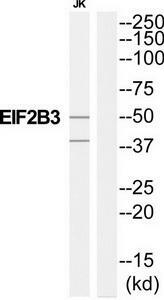 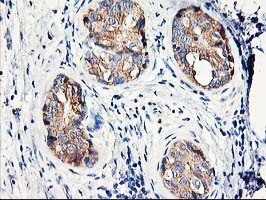 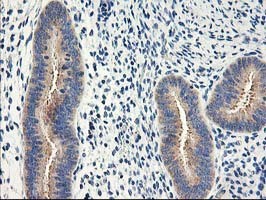 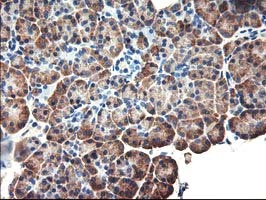 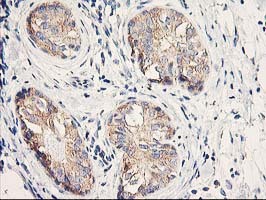 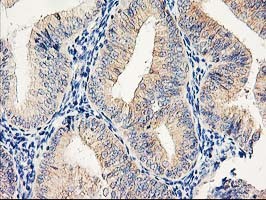 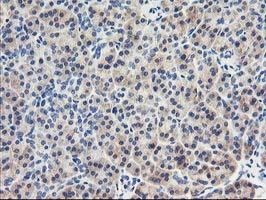 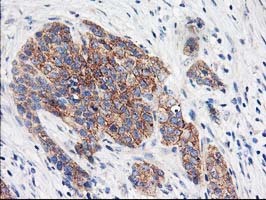 EIF2B3 ( arrow ) was detected using the purified polyclonal antibody. 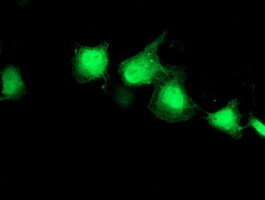 Western blot analysis using AP11734PU-N EIF2B3 antibody in A375 cell line lysate. 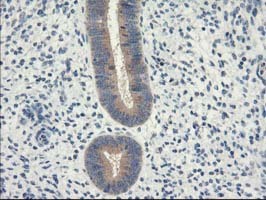 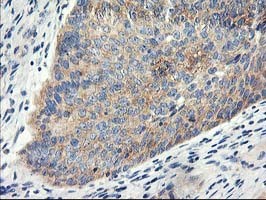 EIF2B3 (arrow) was detected using the purified antibody. 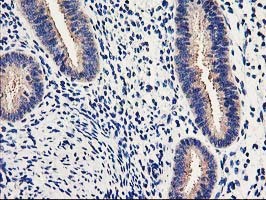 Anti-EIF2B3 mouse monoclonal antibody (TA503537) immunofluorescent staining of COS7 cells transiently transfected by pCMV6-ENTRY EIF2B3(RC223570). 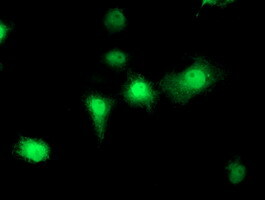 HEK293T cells were transfected with the pCMV6-ENTRY control (Left lane) or pCMV6-ENTRY EIF2B3 (RC223570, Right lane) cDNA for 48 hrs and lysed. 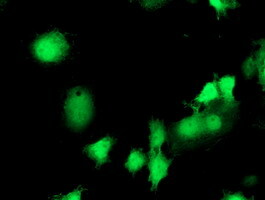 Equivalent amounts of cell lysates (5 ug per lane) were separated by SDS-PAGE and immunoblotted with anti-EIF2B3. 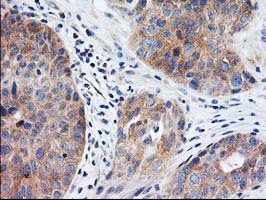 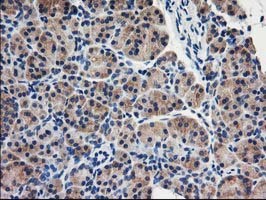 Anti-EIF2B3 mouse monoclonal antibody (TA503562) immunofluorescent staining of COS7 cells transiently transfected by pCMV6-ENTRY EIF2B3(RC223570). 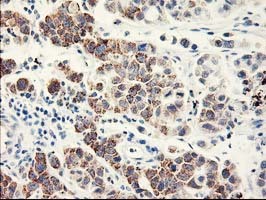 Anti-EIF2B3 mouse monoclonal antibody (TA503568) immunofluorescent staining of COS7 cells transiently transfected by pCMV6-ENTRY EIF2B3(RC223570). 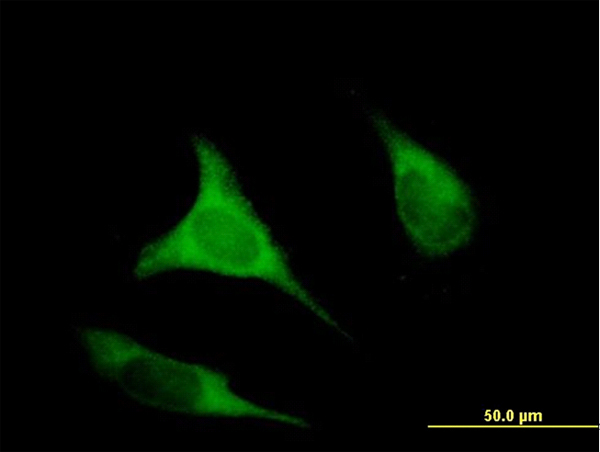 Anti-EIF2B3 mouse monoclonal antibody (TA503758) immunofluorescent staining of COS7 cells transiently transfected by pCMV6-ENTRY EIF2B3(RC223570). 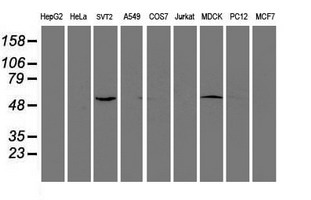 Western blot analysis of extracts (35ug) from 9 different cell lines by using anti-EIF2B3 monoclonal antibody. 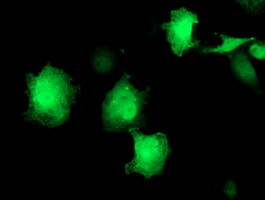 Western blot analysis of extracts from Jurkat cells, using EIF2B3 antibody.The lane on the right is treated with the synthesized peptide.